Alumni-organized book groups currently meet in Washington, D.C.; New York City; Seattle; Chicago; Philadelphia; Tucson; and the Austin/San Antonio area. This year, the Washington, D.C., group, led by Pam St. John Zurer ’71 (pamela.zurer@gmail.com), will read a variety of books with the theme Legacies in Exceptionalism, exploring the struggles and victories that have been emblematic of the American experience from the 17th century to the present. These books, chosen by Kendall Johnson, associate professor of English literature, range from Hector St. John de Crèvecoeur’s Letters from an American Farmer (1782) and Benjamin Franklin’s The Autobiography and Other Writings (1818, first English edition) to Bharati Mukherjee’s The Holder of the World (1993) and Thomas King’s Green Grass, Running Water (1994). The New York City group, led by Sanda Balaban ’94 (Sanda_Balaban@alum.swarthmore.edu), will be celebrating Argentina’s bicentennial through its literature, with Luciano Martinez, assistant professor of Spanish and Latin American studies. Their reading will range from established authors Jorge Luis Borges and Manuel Puig to cutting-edge writers like Sergio Bizzio and Claudia Piñeiro. Professor Martinez travelled to New York for the opening session on Sept. 24, which was held at the Partners in Crime Mystery Booksellers, owned by alumna Kizmin Reeves ’72. For the reading list, visit http://nyc-swat-bookgroup.blogspot.com. Former New York book group member Matt Rubin ’04 (matthewstarkrubin@gmail.com) has moved to the Philadelphia area and is leading a revitalization of the Philadelphia group. This year, the group will follow the same theme as the New York City group, also working with Professor Martinez. Philadelphia-area residents are signing up now. Led by Karl Knaub ’95 (kknaub@alum.swarthmore.edu), the Seattle book club, now in its fifth year, will be reading books on the topic of discovery. 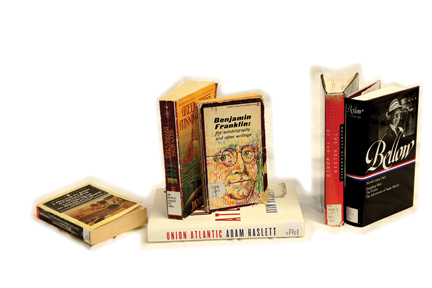 Books include Saul Bellow’s Henderson the Rain King, Rebecca Skloot’s The Immortal Life of Henrietta Lacks, and Union Atlantic by Adam Haslett ’92. The Chicago club, led by a group that includes Connection Chair Marilee Roberg ’73, Sara Sargent ’07, and others, and the Tucson club, led by Laura Markowitz ’85, are also ongoing and welcome any newcomers who might be interested. They choose readings each month. 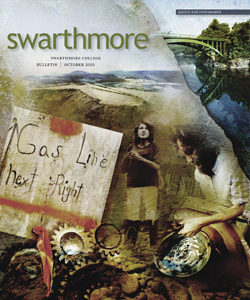 For more information about Swarthmore book groups, or to organize one in your area, e-mail Geoff Semenuk in the Alumni Office or call (610) 328-8453.